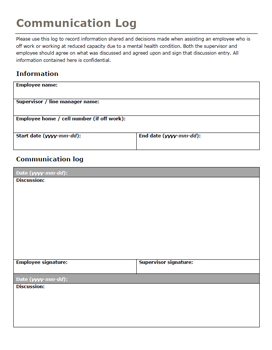 Please use this log to record information shared and decisions made when assisting an employee who is off work or working at reduced capacity due to a mental health condition. Both the supervisor and employee should agree on what was discussed and agreed upon and sign that discussion entry. All information contained here is confidential.